Swimming Canada Issues 2020 Olympic Cycle "World Class On Track Times"
Swimming Canada has released its “World Class On Track Times” for the 2020 Olympic Cycle, as part of a program initiated in 2013 focused on identifying young talent with the potential to represent Canada on the world stage. 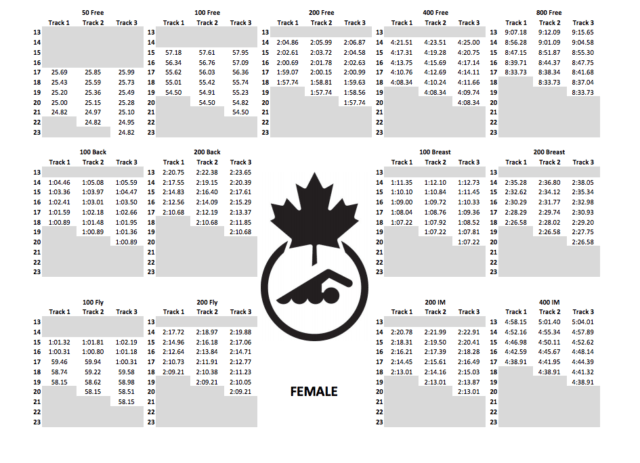 See the full list of Swimming Canada’s World Class On Track Times for 2017-2020. 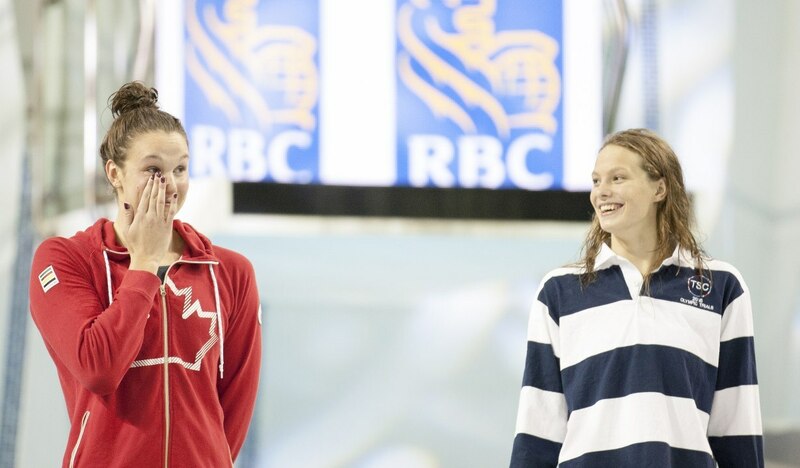 The times aim to help Swimming Canada recognize developing talent to help coach the swimmers to their top potential. This cycle’s On Track Times use the 16th-place time from the Rio 2016 Olympics as a target time for 2020. The standards are divided into three “tracks.” While Track 1 is set to identify early developers, Tracks 2 and 3 should identify later developers in an event. 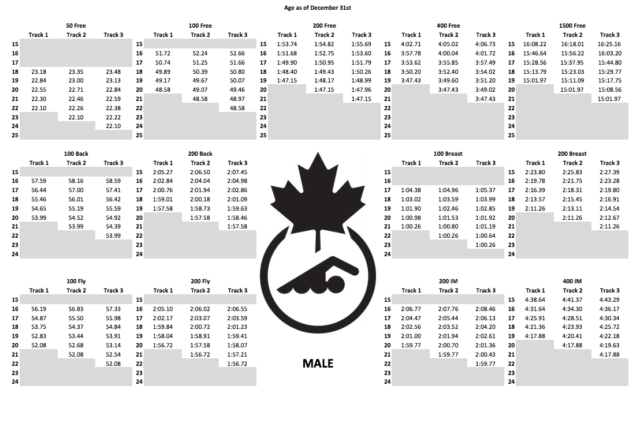 Track 1 sets a target time to be reached four years before the average age of a finalist in each event. So, since the average age of the Rio 2016 Olympic women’s 400 IM finalists was 21, the target time should be reached at 17. 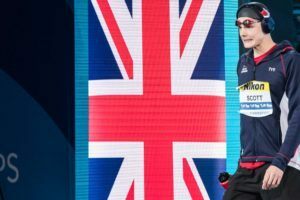 Track 2 and Track 3 are set for swimmers to reach the 16th-place time one and two years later than Track 1.